Suntheanine is an herbal supplement that contains an amino acid found in green tea. Suntheanine promotes relaxation and mental focus without drowsiness. Suntheanine is the brand name pure herbal supplemental form of L-theanine, an extract found almost exclusively in tea, particularly green tea. NutriScience Innovations, also known as Taiyo International, registered Suntheanine with the Food and Drug Administration in January of 2000 as a dietary supplemental form of L-theanine, the amino acid. 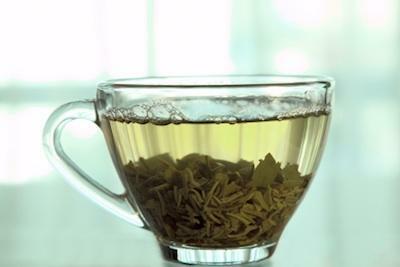 Scientists with NutriScience Innovations discovered a process of distilling green tea to pull out higher concentrations of L-theanine and called it Suntheanine to put in supplements and drinks at higher levels than green tea. L-theanine or the trademarked version Suntheanine has shown to stimulate alpha brain waves that are associated with a relaxed, but alert state of mind. L-theanine counteracts the naturally occurring stimulate of caffeine in tea. The amino acid L-theanine stimulates the brain nerve transmitters of serotonin and dopamine. Stress is part of life, but it does not have to overwhelm and make you feel like are spiraling out of control. Mental clarity and focus can literally save your life in some cases. If you have ever driving a car and let your mind wander, you may have missed entire sections of roadway putting yourself and others in danger. Staying alert and focused is important in almost every aspect of your personal life. In addition, your job may require you to focus or you may cause disastrous consequences. This supplemnet is thought to help you gain back your alertness within 30 minutes of taking a supplement containing it. Staying alert and focused can keep you safe and help you work more productively. Some forms of supplements have massive amounts of caffeine which stimulate in such away to cause elevated blood pressure, racing heart, agitation and stress. Supplements containing L-theanine can give you an alertness, without elevating your heart rate. Highly caffeinated stimulates that are becoming popular may boost you up momentarily, but then cause a crash and burn effect so you need more. These types of supplements that contains L-theanine can help you feel alert and calm all day long without the yo-yo effect of high doses of caffeine. Suntheanine has been in beverages and supplements since 1994 with no reports of adverse reactions. Suntheanine received the GRAS Affirmation, (Generally Recognized as Safe affirmation) from the United States Food and Drug Administration. Even though the FDA has recognized Suntheanine as a generally safe supplement, they are not required to substantiate the claims of stress reduction and alertness to be accurate. Information on the website states pregnant or nursing women should not take suntheanine. You can find L-theanine in many supplement products ranging from vitamins to sports drinks. Most vitamin supplements will say L-theanine on the label, but if you read it closely it may indicate the trademarked Suntheanine is in the product. L-theanine taken as a supplement may help improve your clarity of mind and lift your mood.